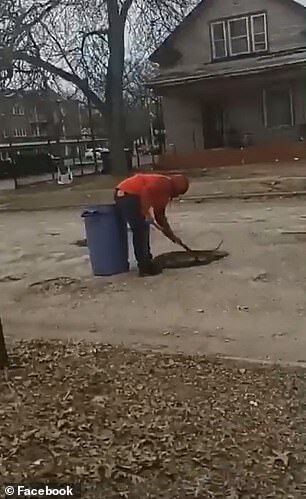 A 12-year-old boy took it upon himself to fill at least 15 potholes near his Michigan home because he didn't want his 'mother and grandmother to mess up their cars'. Monte Scott's kind act has scored him thousands of fans after a video his mother, Trinell Scott, shared on Facebook went viral. 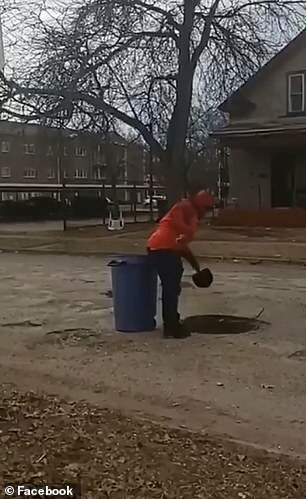 The video shows Monte filling potholes on Maffett Street in Muskegon Heights near his home last week. He's seen using a shovel and dirt from his backyard to even out the road. In the video, Monte had filled at least 10 potholes of all different sizes.